Morris L. Barer is an Emeritus Professor in the Health Services and Policy Division. He was the inaugural Scientific Director of the Institute of Health Services and Policy Research. He was the founding Director of the Centre for Health Services and Policy Research at UBC, serving from inception in 1990 to 2001, and again from 2007 through 2012. 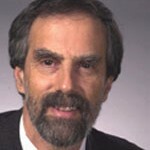 Dr. Barer is a fellow of the Canadian Academy of Health Sciences. Physician resource policy; patterns of use of physician services; implications of changes in methods of physician remuneration. Health human resources — scopes of practice, recruitment/retention. Access to care, wait lists and wait times. The effects of an aging population. Pharmaceutical policy (drug promotion and regulation). Use of health care services, particularly by seniors. Health care “zombies” (seemingly obvious truths about health care that have no evidentiary basis, but persist anyway).